The Refined Vaper founder Rob Nichols was raised in rural Missouri, was a member of the US Army Reserves, and served in the Army during Operation Enduring Freedom. After his service was complete Rob felt compelled to use his degree and serve in other ways. He uprooted and left the U.S. to teach English in Shenzhen China. To this day he credits that one decision to molding the the last decade of his life. "Living in Shenzhen, allowed me the opportunity to not only learn the culture of the people, but to also see small innovations that would eventually shape my life for the next 10 years." (Rob Nichols, 2017). Rob likes to call himself "one of the old guard". When asked about why, he vividly paints a wild west picture of the vaping industry when it was first starting out in the USA. He ticks off names whom he clams were the biggest companies in electronic cigarettes, many of whom no one today would even recognize. His passion for vaping, and specifically the liquid that the devices uses, is known by everyone who takes the time to speak with him. His knowledge of the intricacies of the products can sometime lead into biological chemical analysis of ingredients and how they pair together. This is one of the reasons he has weathered the storm of our industry for so long. His well thought out flavor combinations have garnered if not the "hype" status of other juices, a solid customer base not rooted in social media but in everyday use of the product. Rob's business partner is more widely known in the industry today. He is a familiar face on both the industry convention scene (as he happens to run one of them) and the online social media scene. Brandon Finney grew up in Texas as the son of a gun store owner and convention planner. Consitancy and Quality is the key. With agreement between them Rob and Brandon decided to offer flavors and brands that focused on constancy and quality manufacturing in addition to amazing flavor. The Refined Vaper flavors were born to serve the market of vapers who wanted great tasting juices that did not destroy the equipment they were used in. Clean ingredients and great tastes helped fuel the success of the four flavor line. Later Brandon decided the two should bring out some of Rob's older flavors with a completely new look. After many months of design and development the Good line was formed. 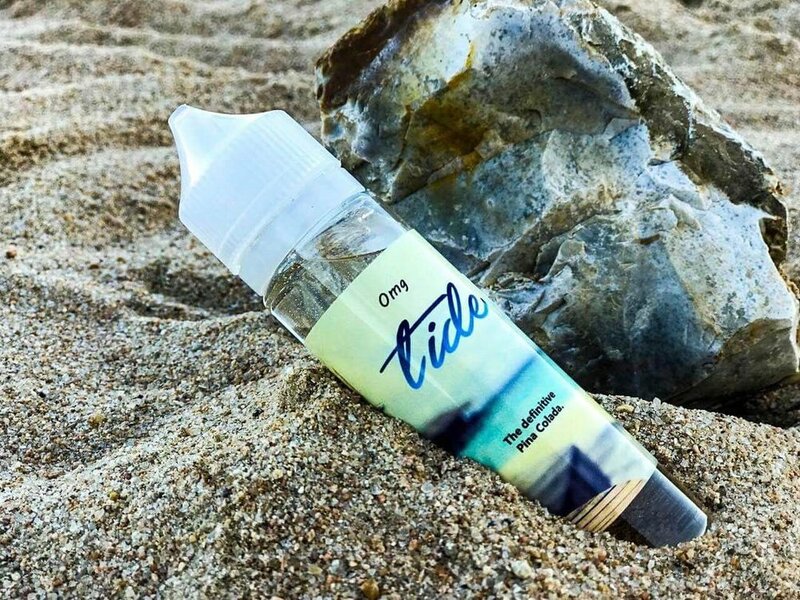 Originally scheduled for re-release to the public at Vape Showcase in Houston 2017, the line was released in October to customers because of the devastation of Hurricane Harvey which cancelled the event.